This is what our past clients have said about Your World Travel and our staff. Jamey is FABULOUS and helped us plan the trip of a lifetime cruising over Thanksgiving 2018 to Italy, Greece, Montenegro & Croatia. I can honestly say it changed my teenagers lives as they were exposed to so many different countries and cultures. Jamey made the planning so easy, was very patient with my many questions, was VERY flexible when I had changes and outlined the trip in a very easy-to-understand format. I know he saved us HOURS of planning time and much confusion because of his huge amount of knowledge about this area of the world and our options. And the BEST part about working with Jamey? He's kind and has a fabulous attitude about everything. He's just really fun to work with and by the time you're done planning your trip, you consider him a friend. We look forward to working with Jamey on our travel needs in the future! What a godsend Jamey has been in the last 48 hours!!! I was in a major quandary dealing with a big "50" year anniversary and significant "70" birthday next spring. I had booked the cruise (which we re booked as Jamey found a much better price)... then trying to book airlines/hotels in Europe I thought I was going to go crazy. Asked a friend who she used as a travel agent and she recommended Jamey....we connected and within 24 hours I am book with great air, hotels and significant savings on the cruise. I feel so fortunate that I found him and his company, just in the nick of time as everything gets so booked up early anymore. He also acquired the best deal on insurance and now I can relax and look forward to my special trip next May. Thank you Jamey and Your World Travel company!!! A very happy lady! My Name is Derek N. , I've been with my wife, Michelle, for 17 years and married for 15 of them. When we got married, we weren't able to go on a honeymoon, Michelle had a young child from a previous marriage and I had started a new business that required my presence at all times. Last year my wife turned 49 years old and I could tell that her 50th was really weighing on her, so I wanted to make it something she would look forward to. I immediately got on the interweb and began my search. I had no clue what I was even looking for, I just knew that I wanted to go to Belize. It didn't take long for me to think, "Jamey!". I emailed Jamey, at Your World Travel, with what I was looking for and being the seasoned traveler that he was, he dove in and handled everything. From room location, to flight suggestions, he had everything covered. When we arrived to check in at the ship, it was absolute chaos. We were a bit overwhelmed until this woman approached us and said "may I see your ticket please?". She looked at it and told me that we were "platinum" and that we got to go to this other door, we greeted and allowed to wait in a private room while 2500+/- people were filed in and corralled into a giant staging area. After we checked in, we were able to go onto the ship right away and begin enjoying ourselves. There were so many perks that we had, because of Jamey's insight, that it made our trip so much more enjoyable. I couldn't begin to say enough nice things about "Your World Travel", Jamey truly cared and wanted to make our week the best week of our lives. Fantastic company and a spectacular human being. Thank you, Jamey. In my dreams, it couldn't have been any better. We cherished our time together and we're already talking about booking our next cruise with you, this time we'd like to share this experience with our kids. Zachary and I were beyond satisfied with our experience working with Jamey as our Travel agent! We had decided to do a destination wedding in Jamaica! Having the wedding added in a bunch of complications based on wedding stress on top of a 10 day trip. He went above and beyond to make sure we were well informed about the resort and the status of our group booking. We were always informed about the most up to date changes or information that we needed. Most of the time when I had a question about our rather large group, I would open my email to find that he had already emailed me! We found Jamey to very reliable and answered emails or call in a timely manner. His customer service is stellar and he took the time on his own vacation to make sure Zachary and I started ours on the right note! We would highly recommend him to our friends and family. In fact, we already did! We have two more trips in progress based on his reputation with our group! "Thank you SO much! I am so excited that this is starting! I have to say that Stephanie and I both agree that deciding to work with Your World Travel for our weddings has been the best decision ever. You have made things so easy and understandable for Jamaica and for Tyler's and my wedding. I have been recommending you to all of my friends who are planning on traveling or planning a wedding." I rarely give 10 out of 10, so the 9 is a sign of my satisfaction with Jamey Steenhoven's assistance with our cruise planning. He stayed on top of our plan, answering our questions promptly and thoroughly and couldn't have been more pleasant. Thank you for having such a good resource. I've been exposed to many travel agencies and agents over the last 30 years. It's actually very rare when I've had the pleasure to have someone deliver on all fronts in record time. Jamey S. "The Cowboy" Agent Pro wasted no time in making me a very satisfied customer. He intently listened to every single thing I threw at him and won me over with his incredible speed of service and ultimate end product oFfering. I can honestly say that when I made my decision to go with YOUR WORLD TRAVEL, it was based on feeling like I could trust Jamey as he actually made me feel like he cared about my upcoming trip. That doesn't happen to skeptical people like me unless someone earns it and deserves the credit. I now feel like I have a friend in the travel business. Thanks Jamey! I have never traveled outside the US and was nervous about it. Jamey Steenhoven at Your World Travel is great. He has answered all of our questions, booked our travel, and as soon as our flights were available, he helped with that and our extra nights in Amsterdam. Being an unseasoned traveler, it is nice to know there are travel agents like Jamey who are there and communicate from the start. Jamey Steenhoven was so prompt that he responded almost IMMEDIATELY to any message I sent to him. He was exceptionally knowledgeable but when he needed to find an answer he immediately contacted the vendor involved for a full answer. He was The Very Best travel agent I've ever had in 50 years of traveling. He cannot be surpassed in professionalism, knowledge and service. I cannot imagine any Travel Agent being better than Jamey. "Jamey did an amazing job planning our Honeymoon to Europe! It was truly a romantic adventure. Meeting with Jamey before hand was really helpful to give him a feel for the type of vacation we were looking for, and he nailed it! Our private accommodations captured the romance with a breathtaking cabin in the Swiss Alps, a beautiful hotel in Venice, then quaint apartment in the heart of Florence that kept us close to the attractions, and the most beautiful view of the vineyards of Montalcino. He could not have found better locations for the occasion. 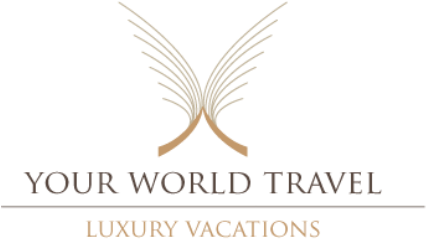 We would highly recommend using Jamey and Your World Travel for any first time Euro Trips, or any other occasion." Leave us your feedback about your experience.